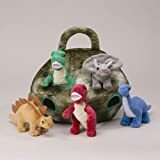 Unipak 12″ Plush Dinosaur House with 5 cuddly dinosaurs. All the dinos can be stored in the house when not in use. 6″ “bean” filled dinos, all different ,all incredibly cute Handy handle for carrying. Washable. Unique toy for creative play. Cuddly. Great for travel. Ages 3 and up. Please allow a small difference on size (1-2CM) due to manual measurement, and a little difference on color, hope you understand, thanks. the estimated delivery time will be 10-15 business days to USA. Shipped by USPS Post with tracking number. 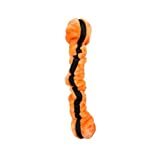 Unipak Designs offer a variety of cute, unusual plush stuffed toys and accessories. Made from quality materials. Inspiring creative play and imagination. 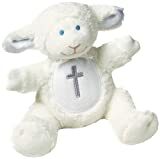 Baby’s christening calls for a special gift and this soft little lamb with silver cross embroidery is the perfect little christening gift. 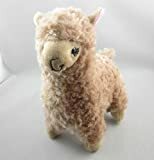 This is a collectible cute cuddly stuffed toy thats a blast from the past, a pound puppy made by Tonka what a great toy for someone who used to have one or for your little one. 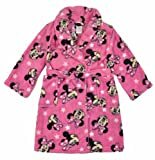 Suitable for both collector and child.